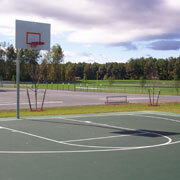 The Ridge/Jenkinsville Park is an 80-acre park providing space for many sporting activities. Softball, soccer, lacrosse, tennis, basketball and more are available in this park. There are also playground facilities, and picnic facilities if you would just like a relaxing afternoon in the park!